What if Chip had stayed at Oregon? The Eagles have been the most scrutinized team in the NFL since Chip Kelly arrived in Philly from the Pacific Northwest. He brought with him a college style of coaching and a new offense that many assumed could not work at the professional level. He has burned more than his fair share of bridges as well with many of his now former players. Kelly had a 46-7 record in his five years at Oregon before leaving for Philly. For better or worse, Chip has completely changed the landscape of the NFL in his three years as head coach. But what if he had never left? What if Kelly had decided to stay out at Oregon and run his fast-paced offense? That is exactly what we are going to talk about right now. Well first thing is first, the Eagles need a new coach when Andy Reid is fired following the 2012 season. So Philly brings in current Minnesota head coach Mike Zimmer. Zimmer was tabbed by Minnesota in 2014 but because he is still a coordinator in Cincy in 2013, the Eagles snap him up instead. The team approach for Philly completely changes. Zimmer brings in a defensive presence to an Eagles team that desperately needed it. Philadelphia had ranked tied for 29th in the league in 2012 for scoring defense. Needless to say, Zimmer would look to bring in some fresh faces. Needing a solid defensive end, Philly targets Michael Bennett from the Bengals in offseason and avoids letting Dominique Rodgers-Cromartie walk away. Bennett won a ring in 2013 with the Seattle Seahawks. Already the defense looks better and some very important things happen for the Eagles offense. Zimmer never isolates DeSean Jackson so he stays and there is no push a year later for Jeremy Maclin or LeSean McCoy to leave. Todd Herremans and Evan Mathis never feel unwelcome either. Philly keeps together their core together instead. 2013 proves to be an excellent year for Philly as they once again capture the NFC East crown, but this time, Zimmer gets a playoff win against New Orleans, as his defense finds a way to limit Drew Brees on the road. The Eagles travel to Carolina the following week and pick up a big victory against the favored Panthers. Philly runs into a buzz saw in the form of Seattle in the NFC Championship game though and sit at home as the Seahawks blow out the Broncos. Overall though, it is a very positive start to the Zimmer era in Philly. Meanwhile, in Oregon, the Ducks enter the season as a team with major National Title aspirations again but have a legitimate chance of getting the job done with Kelly at the helm. He and sophomore quarterback Marcus Mariota manage to go the whole season with just one loss, a blowout defeat against Arizona. Kelly calling the shots proves to be enough for Oregon to beat Stanford and hold onto their title aspirations much longer. Instead of finishing 10th in the standings, the Ducks finish fifth and earn a spot in the 2014 Rose Bowl in place of Stanford. Zimmer continue to prepare his team for a very important 2014 campaign though over in Philadelphia. His core of McCoy, Jackson, Maclin and rookie Jordan Matthews pace the offense and make life easy on Nick Foles. The defense, led by Michael Bennett, Trent Cole, Connor Barwin and rookie Bradley Roby, proves to do enough for Philly to make the playoffs in 2014 instead of just missing out. The team moves forward mainly due to avoiding a late season loss to Washington. The Eagles enter the postseason with a matchup against Dallas on the horizon. The Cowboys split the regular season series with Philly but they lost at home then and they do again here. That mean Philly travels to Seattle for the divisional round and for the second straight year, the Eagles fall against the Seahawks in the playoffs. Mariota was the second overall pick in the 2015 NFL draft. 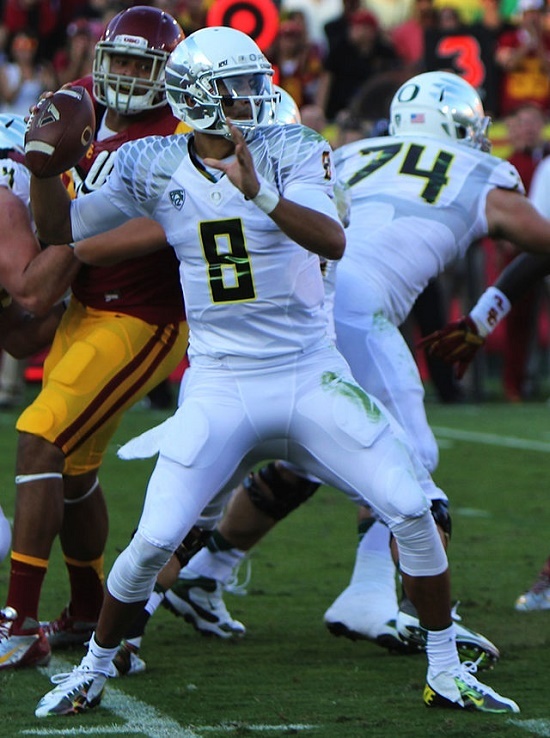 Checking back in on the West Coast, Marcus Mariota is tipped to be the Heismann winner with Kelly at the helm. Oregon is coming off a Rose Bowl win and looks to be a lock for the College Football playoff. They finish the season with just one loss for the second consecutive year under Kelly, the loss once again coming against rival Arizona. Mariota bolsters his draft stock in his junior season and takes home the Heismann Trophy by a landslide. Oregon still ends up in the National Title game, still against Ohio State. The game ends a lot closer this time around but still in an Ohio State win. The 2015 NFL draft rolls around and after his transcendent performance under Kelly at Oregon, Mariota leapfrogs Jameis Winston in the predraft build up. Mariota goes number one overall to the Tampa Bay Buccaneers and Tennessee is left to take Winston second. 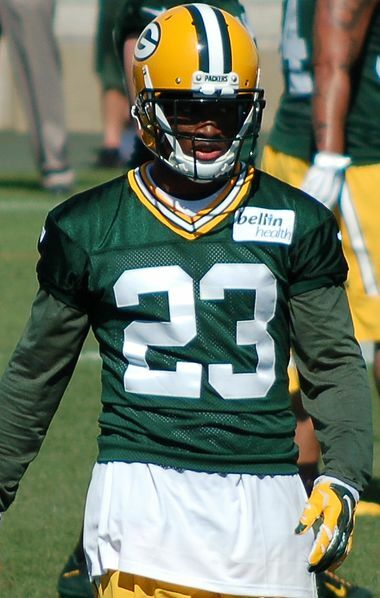 The Packers selected Randall with the 30th pick in the draft. Later on in the first round, selecting after the would’ve this year, the Eagles instead take Arizona State safety Damarious Randall to bolster the secondary then draft the troubled Randy Gregory in the second round. Now, Zimmer has all of the pieces he wants to play with on defense and Philly enters the season as an early season favorite to win the NFC instead of a team with dozens of questions surrounding it. McCoy never winds up in Buffalo, Maclin never joins Andy Reid in Kansas City. DeMarco Murray and Ryan Mathews never join during the offseason. Instead, Mathews heads to Tennesee to help the rebuilding Titans. Murray takes his talent (or lack there of) to Baltimore. Who would’ve thought that the NFL would change this much just because Chip Kelly decided to stay at Oregon. 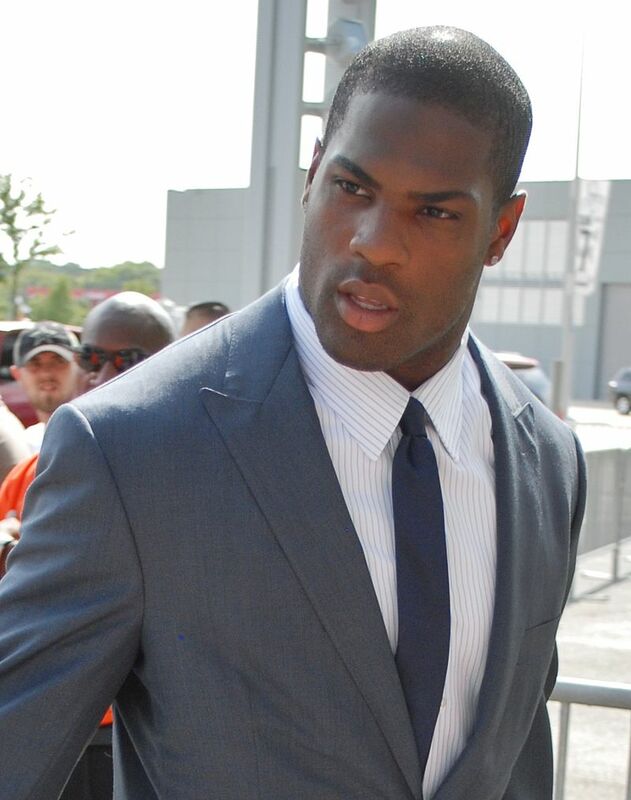 DeMarco Murray has to be reconsidering his decision to leave Dallas right now. 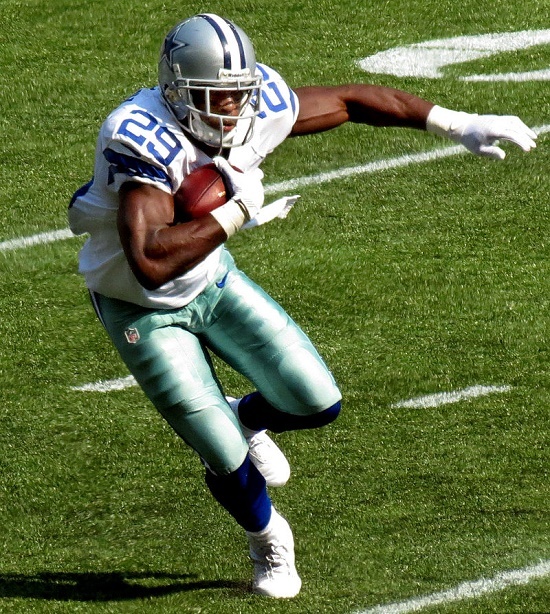 Murray jumped ship on the Cowboys after the 2014 season, despite winning the Offensive Player of the Year Award and leading the league in both rushing yards and yards from scrimmage. He credited his decision to feeling undervalued by the Cowboys. He wanted to be paid an exorbitant amount of money, which Dallas could not provide after signing Dez Bryant to a huge deal. So Murray went north to the City of Brotherly Love to join Chip Kelly and the new look Eagles. People were excited to see Murray in the fast paced offense and Murray was pleased to be paid like the franchise running back he thought he deserved to be. The signing made a ton of sense for the Eagles as well. They had just traded their lead back LeSean McCoy to Buffalo in exchange for Kiko Alonso. However, Philly also went out and signed Ryan Mathews as well from San Diego to add to the stable of runners that featured Kenjon Barner and Darren Sproles. I had concerns about Murray in this new Eagles offense. First, he was going from a team that sold out on the run to a team that loved to throw the ball. He also went from having the league’s best offensive line to a line that featured two new starters. Murray also had 390 carries in 2014 and no running back has excelled the following season after toting the ball that many times. Heading into tonight, I was apprehensive as to how Murray would play. I figured he would have decent success though as the Eagles faced the Falcons who had the league’s worst defense a year ago. I kind of expected though that he would see fewer touches because they wanted to pace him for the season and because both Mathews and Sproles would vulture some carries. However, I hardly expected that Murray would only run the ball eight times in the game. I was shocked even more that he only picked up nine yards on those eight carries. He did catch the ball four times but only picked up 11 yards there. So on the night, Murray finished with a miserable 1.67 yards per touch. That is a far cry from a season ago when he averaged 5.03 yards per touch. He still scored twice but both times were in short yardage situations. You also cannot count on him scoring two touchdowns every week. Without that second touchdown, the stat line seems a lot less impressive. He will no doubt get opportunities to score in the Philly offense. He just cannot think he will put up the same ground production. Obviously, it is a very small sample size for Murray and the Eagles but it was not an encouraging start. Either way, Murray made the wrong call when he chose which team. He obviously got paid more but by putting his pride ahead of his production. There is no way Murray will every be as productive as he was going away from Dallas. It was the best spot in the league for a running back. The defense was sturdy and the offense often got them leads early on. That led to plenty of situations for Murray to run the clock behind a bulldozing offensive line. The Eagles on the other hand, tend throw the ball a ton and Murray has never been known for being a premier pass catcher. That means that Kelly will often sub him off on obvious passing downs. The offensive line also isn’t as reliable. There is just no way Murray is in a better situation. His wallet is just a bit more swollen. He passed up the chance to make a title run with the Cowboys, who, had they retained Murray, would be a popular pick to win the NFC. He could go on to have a really good year, but in my mind, unless he eclipses his numbers from last year or the Eagles go deeper into the playoffs than the Cowboys, I will definitely chalk this up as a selfish mistake by DeMarco Murray. Everyone new that the start of the new league year was sure to bring some fireworks. I don’t think anyone saw that coming though. We are only a little over 24 hours into the 2015 NFL league year and the chaos is only now beginning to subside. We saw the Seahawks land the highest paid tight end in history. Darrelle Revis rejoined his old team for a small fortune. The Eagles continued to wheel and deal under Chip Kelly. Even Ryan Fitzpatrick changed teams (wait that happens pretty much every offseason). Time to take a second look at some of the teams involved in the fray after the dust has started to settle. This does not mean these teams won free agency, which, according to Michael Schottey of Bleacher Report, may not really matter. Either way, these are the teams who are in the best shape following the first day of signings. Seattle Seahawks: No matter what you give up, getting arguably the best tight end in the NFL is a good deal. The Seahawks did give up All-Pro center Max Unger and their first round pick, but centers tend to be easier to replace than tight ends and with an historically week tight end class scheduled to hit the NFL next year, this was a good move. The Seahawks really need to work to rebuild that offensive line as both Unger and Carpenter are in new homes heading into next year. Still, for the defending NFC champions, this makes Russell Wilson even more deadly. Bringing in Cary Williams as a nickel corner doesn’t hurt either. New York Jets: It is hard to look at the Jets and not think that this team looks infinitely better than it did on Sunday. The Jets have shelled out a lot of picks and money to do so but New York has made major strides in its rebuilding process. The secondary immediately becomes one of the best in the league signing Revis and Buster Skrine. The offense looks a lot better with the addition of Brandon Marshall. James Carpenter could prove to be an asset as well. The Jets were also smart to release Percy Harvin rather than give him the $10.5 million he was due. Bringing in Ryan Fitzpatrick is an upgrade over Geno Smith, especially under Chan Gailey. There is still more work to be done but the change is drastic. St. Louis Rams: Sam Bradford and his mega contract is gone. In return, the Rams now have Nick Foles suiting up. Both of these players are coming off of injuries but you would have to imagine that Foles is in much better shape. Bradford tore his ACL for the second straight season while Foles broke his collarbone. The Rams also managed to avoid giving up anything more than a fourth round pick this year. They might potentially lose a second rounder next year if Foles meets certain criteria but as a Rams fan, I am much happier having Foles as my prospective starter. Philadelphia Eagles: On one hand, I look at the Eagles defense and I am impressed with how much better it looks now. Signing Byron Maxwell, Walter Thurmond and trading for Kiko Alonso will do that for you. However, I flip to the offensive side of the ball and I cringe. The Eagles are now without their starting quarterback, running back or leading receiver from a season ago. Pair that with Todd Herremanns leaving for Indianapolis and the Eagles have a lot of holes to fill. Signing Ryan Matthews could be the answer at running back but he is very injury prone, as is new quarterback Sam Bradford. Chip Kelly has taken the couple of questions surrounding Philadelphia and multiplied them ten-fold. Denver Broncos: The Broncos did not make any splash signings and no one really expected them too. But the players they let walk away really hurt. Denver lost starting tackle Orlando Franklin to the division rival Chargers. Terrance Knighton also informed the Broncos that he would not be returning next year. Couple those two departures with Julius Thomas signing with Jacksonville and suddenly the Broncos are down three starters from 2014. With Nate Irving and Rahim Moore still unsigned, the Broncos could lose a few more starters before free agency is all said and done. Indianapolis Colts: Indy has spent a combine total of $64.2 million on four players. The average age of those four players is roughly 32. These players all have big names but none of them are likely to make the impact the Colts are paying for. Andre Johnson is not going to return to Pro Bowl form any time soon. Neither is Frank Gore. Kendall Langford is a nice addition to the defensive line but pairing Trent Cole across from Rasheed Mathis give the Colts one of the oldest starting outside linebacker duos. With better players available, the Colts could have found a way to spend this money a little more wisely. Free agency is far from over but after the first day or so of player signings, mixed with all of the crazy trades, this how the league appears to be trending. Some other things to note would if Oakland lands DeMarco Murray, the free agent class suddenly looks much better. New England will once again sit out on over spending for free agents, but don’t be surprised to see a trade involving the Patriots to surface. Lastly, the Saints have actually set themselves up fairly well for the coming future but their moves in the coming days will dictate whether or not this can continue to be a successful offseason. I will definitely be back with more in the coming days as more agents begin to sign.